Delight your customers, improve your guest experience, and maximize your call-in order sales. Our friendly trained restaurant call center agents handle your phone orders in a quiet environment with 100% attention on your guests. Our restaurant partners increased average order size between 8-18% after partnering with TSD Global. Nearly 30 years as experts in customer experience, sales, technology, quality and dependability. When a customer calls in to place a take-out order, they will speak directly to a certified agent who's trained on your brand. No long hold times or un answered calls ever! The customer will be greeted with a friendly agents who wear noise canceling headsets- ensuring a pleasant, comfortable experience for your customer. 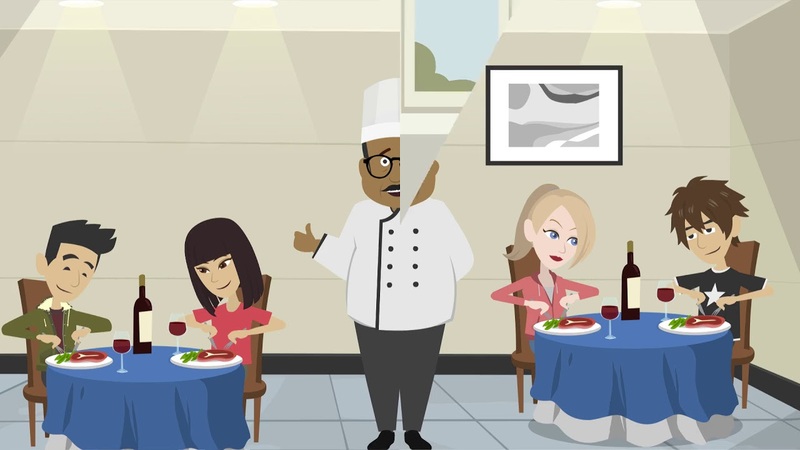 All of our agents have been extensively trained our restaurant partners menu and help customers choose the perfect order. Through our “friendly” up-selling techniques that are scientifically tested, our agents can significantly increase your revenue. The customer places their order through our team of agents and our technology seamlessly integrates into our clients POS (point of sale) system to make the process simple and easy. Customers then pick up their order at the restaurant and are delighted with the experience. We send our Head of Training to your restaurant for 7 to 14 days to learn the ins-and-outs of your business. We provide a questionnaire to help manage and track the process. We train each call center agent on your business. Our training session go through several different scenarios to ensure our agents are prepared for any type of call. After we learn your business, our Head of Training returns to discuss, plan, and execute high-level strategy to increase successful orders. All agents are trained on this strategy. We track every call and order that comes through our system, and deliver the results directly to your representative. We stay on task, and constantly work to improve our system. Will Our Restaurant See An ROI? Yes. When TSD Global takes on a new partner we make it our mission to show them an ROI. Through our scientific up-selling process we have been able to maximize and optimize our clients takeout line of business. Where are your agents based? All of our agents are based inside brick and mortar locations at one of our contact centers in Indiana. Managed by our in-house staff of trainers, supervisors, and quality assurance associates. Your call center team’s performance is monitored around the clock and every call is recorded and scored on a 5 star rating system. If a rep scores below a four star rating than they are pulled off the floor and report for more training. What equipment do your agents use? TSD Global’s call center teams wear noise canceling headsets that block out background noise and allow for a quiet and pleasant phone ordering experience. How does your service benefit our employees? Employees don’t have to worry about answering the phone ever again, multi-tasking, and can focus 100% on your customer experience inside your restaurant. We have increased in-house employee happiness by off-loading excess call volume during peak times. There are only a few restaurant call centers in the business and most of them use what is called “at home” agents. You can’t control the agent’s environment (excess noise, distractions, lack of attention, missed calls, .etc). At home agents are bad for quality customer experience. Set up an exploratory call with our executive team! Our goal is to simply make your customers day a little better by creating amazing brand experiences. At TSD Global our mission is reinvent takeout and give your customer such a great experience, that they become customers for life. We understand the key to optimum performance is never ending experimentation. Through our technology and tenured management teams we are constantly testing different up-sell and cross-sell combinations to produce the highest average check size we can to our clients. Through experimentation we our always improving our performance and making things more efficient.